Not long now.... I hope! Eight random facts about me! Not had much of a chance to update my blog lately! But here I am today with a day off and a necklace to make! It's my aunties birthday tomorrow and I'm trying to design a 'gothic' necklace and have been 'surfing' the net looking for inspiration! There's some really beautifull things about.... I want the necklace to be gothic but also elegant and feminine lets hope I get it right! I also get my car back today I think so it's goodbye to the clio :( its been great driving around in it and I definately want one now! 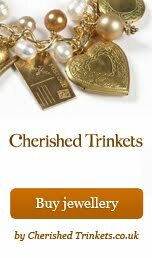 I best get making some jewellery to pay for it!